You can undertake dozens of great activities on Bali. It is the perfect destination for being both active and relaxing and it is large enough to easily spend two weeks there. 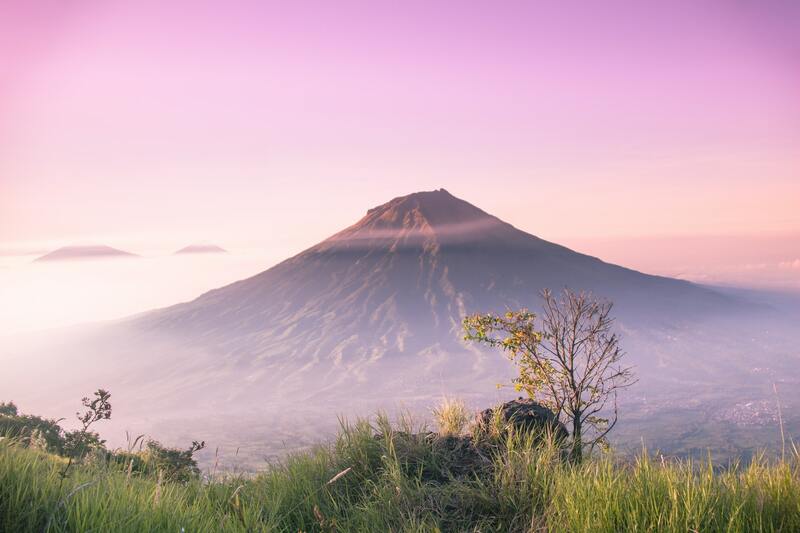 It is not for nothing that Bali is so popular among holiday goers, but there are also plenty of beautiful places for people looking for a more authentic experience. Because it is such a popular destination, you can often fly there for a good price. Sometimes you already have a return ticket starting at 600 dollars . In the south of Bali it is very touristy but when you stay in the middle or north, you experience the real Balinese culture. One thing is for sure, you won’t get bored because there is more than enough to do! These are 10 activities that you should certainly not skip on Bali. Do you like the idea of having one or two monkeys on your head? Then go to Monkey Forest! 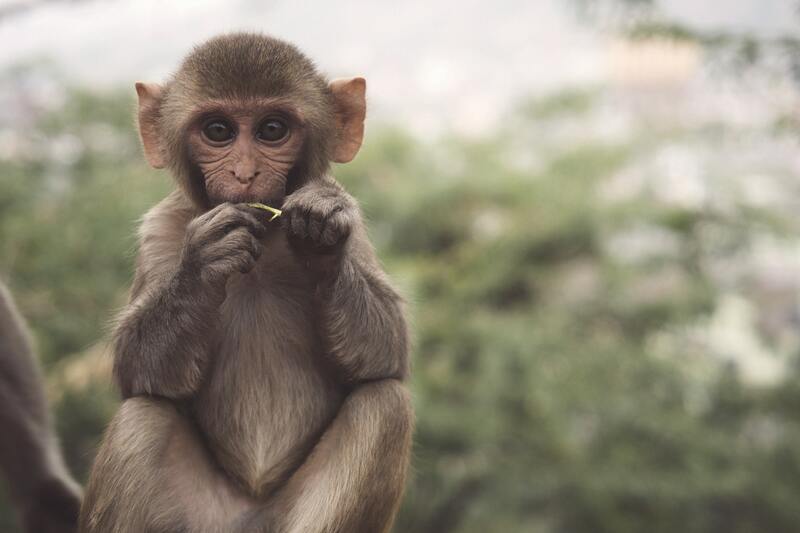 There live about 250 monkeys in this park who enjoy stealing food and sunglasses. You don’t have to be afraid of rabies because all monkeys here are vaccinated. But of course you don’t want to get bitten so don’t challenge them and store your things well. Ubud is the artists’ village of Bali. The center of Ubud is a bit busy but once you get out of here you are right in the middle of the green rice fields. It is wonderful to rent a scooter or bicycle and explore the surroundings of Ubud. You can also undertake many more activities here such as cooking courses or yoga workshops. Do you want to experience a great day in Bali? Then go to Waterbom. Here you will find the coolest slides in all of Asia! 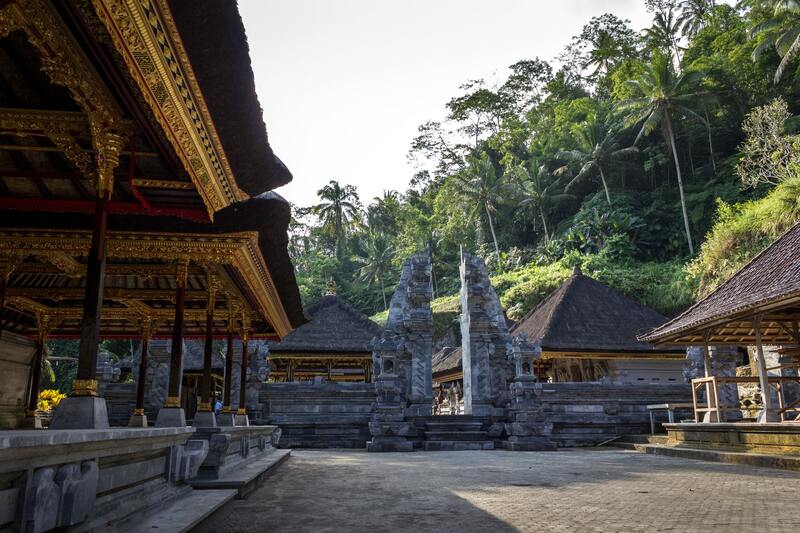 Bali has a large number of beautiful Hindu temples. There are more than 200,000 to be found! Many are of course very small because every family has its own temple. Pay a visit to Pura Tanah Lot. This is the most visited and photographed temple of Bali due to its beautiful location on top of an impressive rock formation in the sea. 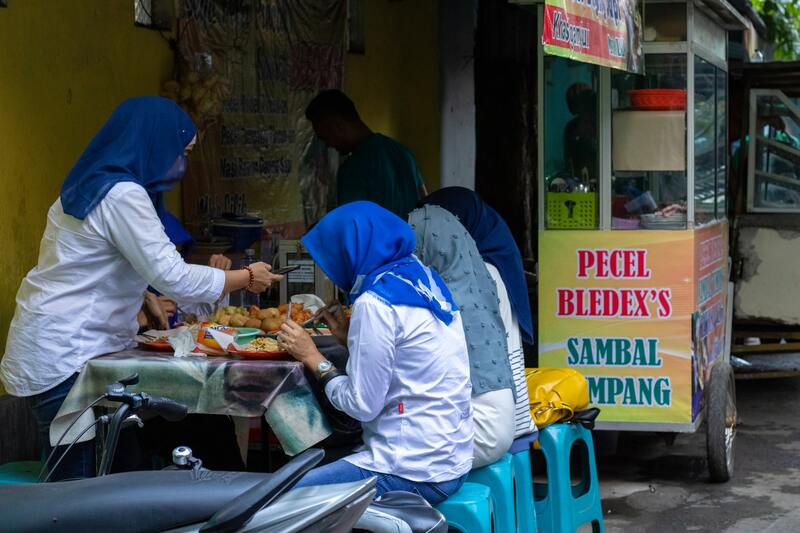 A warung is a kind of small restaurant, often run by a local family. You can find them everywhere in Indonesia and you can often eat delicious food for less than 2 euros! There is no shortage of waterfalls in Bali. The highest Bali waterfall is the Gitgit waterfall which is particularly impressive in the rainy season. It is 35 meters high and you can find it in the north of Bali. A good alternative is the Tegenungan waterfall nearby at Ubud. See the photo below. Do you want to do something active and do you have a bit of perseverance? Then it’s great to climb a volcano, for example the Mount Batur volcano. This is one of the most adventurous and challenging activities you can undertake on Bali. Bali is a paradise for the real foodies among us. 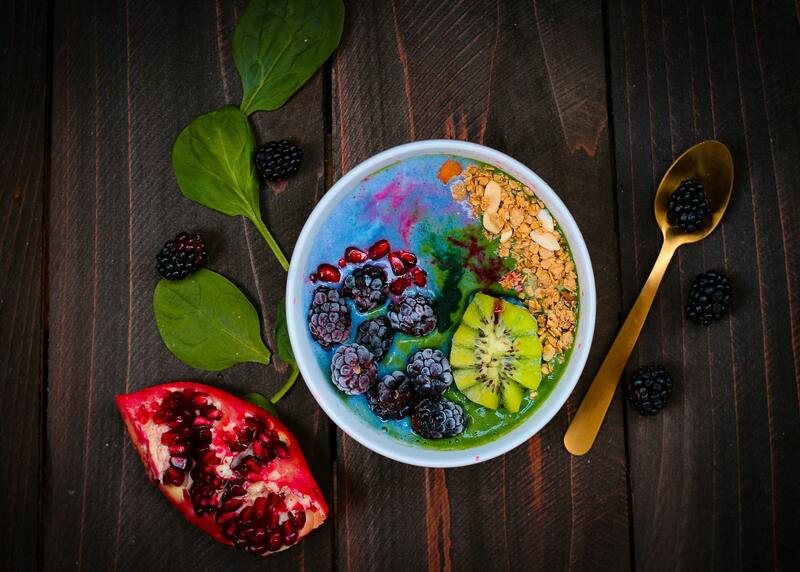 Not only the local cuisine is incredibly tasty but you will also find hundreds of hip breakfasts and lunch places in Bali where they serve the most delicious dishes. Think smoothie bowls, fresh bread with avocado, and the best salads. Enjoy! Get pampered and have a wonderful massage at one of the many spas in Bali. This is the perfect ‘activity’ to completely unwind. Bali has a number of good surf spots for both experienced and novice surfers. 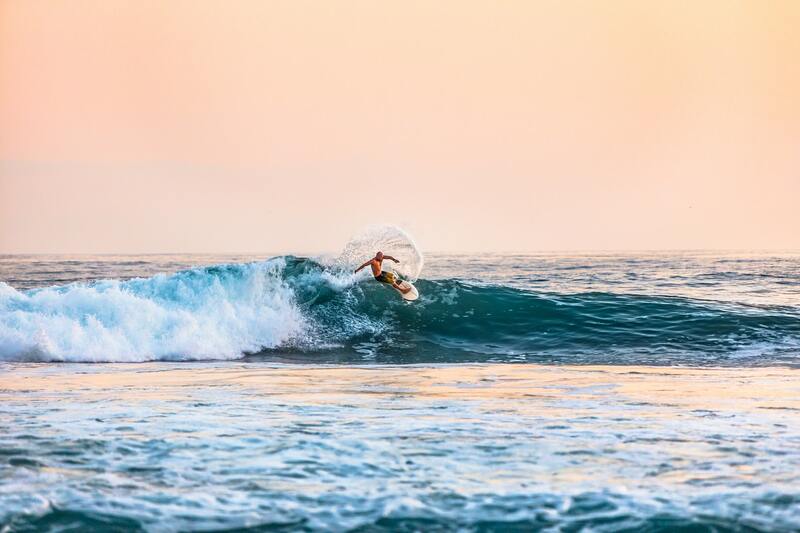 Canggu is the place to be for surfers with waves for both beginners and advanced surfers!